Everton Under-23s boss David Unsworth declared his pride after being named as an ambassador for the Everton Disabled Supporters Association (EDSA). Unsworth, an FA Cup winner with the Blues in 1995, has encouraged any disabled fans to sign up as a member of the association after the Club – working alongside the EDSA committee - relaunched the EDSA membership scheme. The scheme is free and offers members a number of benefits. Members will receive free entry to any Under-23 fixtures that take place at Goodison Park and access to events and activities throughout the 2018/19 season, including a Christmas party and tours of the Club’s training facility, USM Finch Farm. Members will also be given an EDSA pin badge. Unsworth - who made 350 appearances for Everton - will be an EDSA ambassador for the 2018/19 season, working with the association's committee to raise its profile. “I’m really proud to be an ambassador for EDSA and to help continue their fine work,” he said. 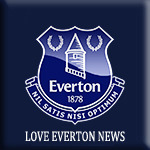 “I know how hard the Club has worked to provide some of the best disabled access and facilities in the Premier League and this is down to the EDSA committee and their impressive collaboration with Everton. EDSA was formed in 1994 and represents all disabled supporters. The association works alongside the Club to improve the matchday experience for both home and away disabled fans at Goodison Park. Steve Heneghan, chairman for EDSA, added: “We’re delighted that Unsy has agreed to become an ambassador. The work he has done for the community has been inspirational and he’ll bring the same energy, drive and commitment to EDSA. EDSA members were consulted and had input into the Club’s recent development programme to improve the stadium’s accessibility for disabled supporters. The works saw elevated viewing positions introduced for wheelchair users across the Main Stand and the Sir Philip Carter Park Stand. This was supported by improvements to amenity access, food and beverage provisions and ticket kiosks. Bathroom facilities have also been improved, with a Changing Places toilet now available. Even if you have previously been a member of EDSA, please re-register via the link below to gain access to this season’s benefits. Supporters wishing to sign up for EDSA membership or join the supporters group can register their interest here by clicking here. Even if you have previously been a member of EDSA, please re-register via this link to gain access to this season’s benefits.